Seriously Janette, I can’t be bothered reading today! 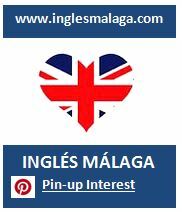 No problem, check out the Inglés Málaga Pinterest site. Look at a few pictures, eat some mushrooms and soak up new words, phrases and grammatical structures without getting a sweat on! It’s so easy, it’s so good! Posted on Sep 30, 2016 Sep 26, 2016 by Inglés MálagaPosted in Ingles Malaga, SpeakingTagged aprende ingles malaga, Ingles Malaga Pinterest, Janette ocarroll.